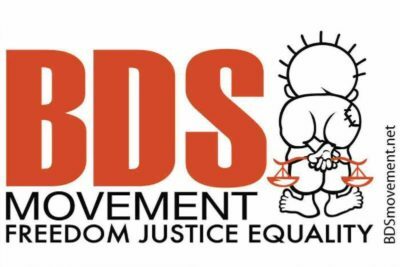 WASHINGTON, Tuesday, January 8, 2019 (WAFA) – The American-Arab Anti-Discrimination Committee (ADC) and American civil liberties organizations are leading a campaign to block a bill in the US Congress aimed at fighting boycott of Israel led by the Boycott, Divestment and Sanctions (BDS) movement. ADC called on members to send an email to their Senators to tell them to vote no on S.B.1 and to defend fundamental freedoms that are guaranteed in the US Constitution. “Boycotts are a long-held tool used in the US to achieve civil rights and justice. It is the duty of all members of congress to uphold the rule of law and protect the First Amendment,” it said, stressing immediate action since S.B.1 is being expedited through Senate procedures and may bypass the committee process. The Institute for Middle East Understanding (IMEU), a Washington based group, said the bill would also codify into law $38 billion in defense assistance for Israel over 10 years and protect states and local governments that pass laws punishing individuals and companies who endorse the boycott, divestment and sanctions of Israel. Both US Senator Bernie Sanders and newly elected Congresswoman Rashida Tlaib, the first Palestinian-American to become member of Congress, have taken to twitter, condemning the decision to introduce the bill and reminding lawmakers that boycotts are constitutionally protected. “They forgot what country they represent. This is the U.S. where boycotting is a right & part of our historical fight for freedom & equality. Maybe a refresher on our U.S. Constitution is in order,” wrote Tlaib. “It’s absurd that the first bill during the (US government) shutdown is legislation which punishes Americans who exercise their constitutional right to engage in political activity,” wrote Sanders. The bill is a top legislative priority for AIPAC, the Israeli lobby in Washington, and part of a larger legislative crackdown across the country, with 26 states passing similar laws, said IMEU. Following legal challenges by the ACLU, the American Civil Liberties Union, anti-boycott state laws in Arizona and Kansas have successfully been blocked by Federal Courts in the past year.